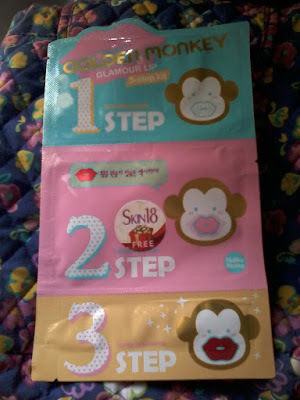 Today I am going to review a new product from Skin18.com , its Golden Monkey Glamour Lip Kit . The product is a 3 step kit to exfoliate and treat dry and chapped lips and make them more Voluptuous . The kit contains 3 products . 1.Exfoliating Pad -This is a thick tissue paper with which one can exfoliate lips . 1.Using the exfoliating pad clean your lips by gently massaging the pad on your lips . 2.Apply the hydro gel mask on your lips and leave it for 15 minutes . 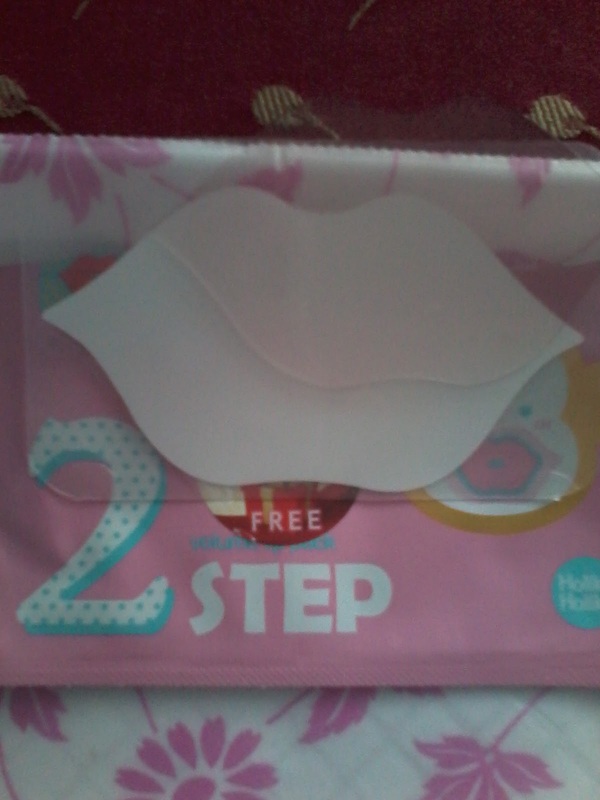 Then gently dab lip area to absorb the moisturiser . 3.Apply honey gel on the lips . 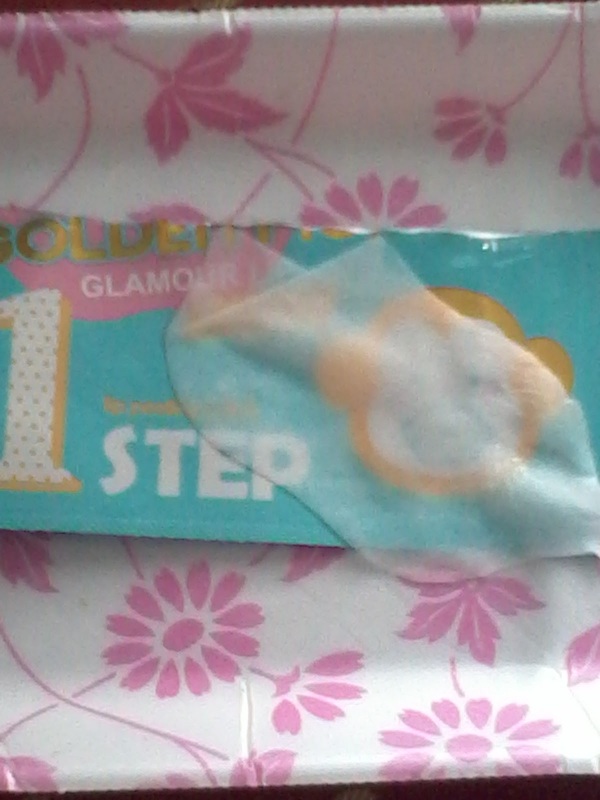 The hydro gel mask contains Gold and Hyarulonic acid which moisturises the lips . The honey treatment gel contains honey which helps to remove dryness of skin . 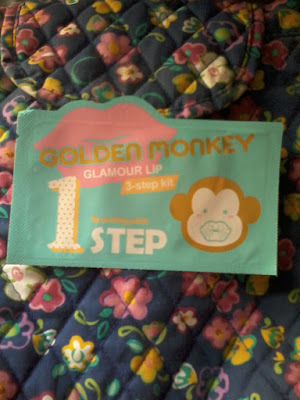 1.An easy to use kit with which one can pamper their lips . 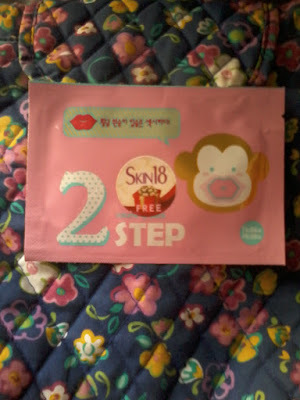 2.Contains natural ingredients like honey which helps to treat dry lips . For me it was new product as I had never used such lip care kits before . 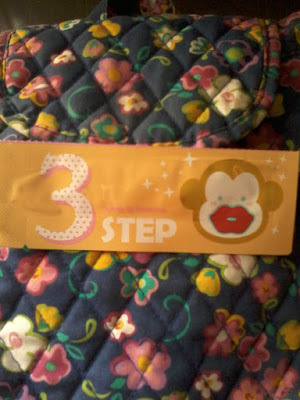 I liked it as its an easy 3 step kit for lip care . It exfoliates the lips and after the honey treatment lips becomes soft .